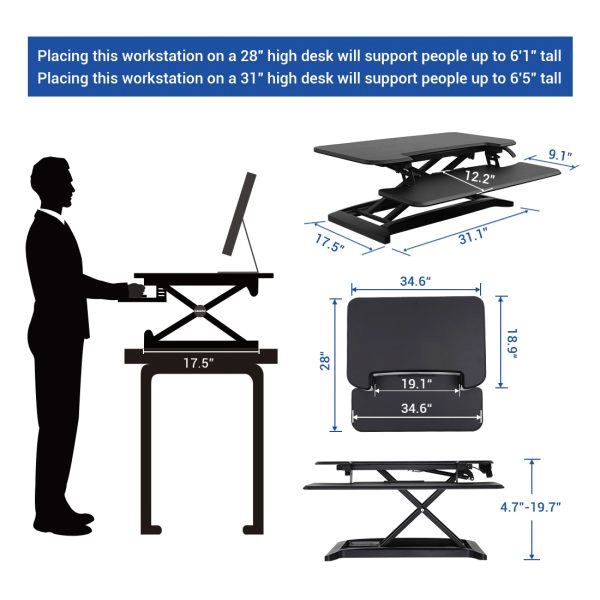 AlcoveRiser Standing Desk Converter - 28"
Height Adjustable Range: 4.7" to 17.7"
EXTRA SPACIOUS WORK SURFACE: Feel free to spread out with an extra large desktop for your computer monitor, paperwork, and desk accessories as well as an over-sized u-shaped keyboard tray that accommodates flexible setup options like a 17-inch laptop or a full-sized keyboard and mouse. 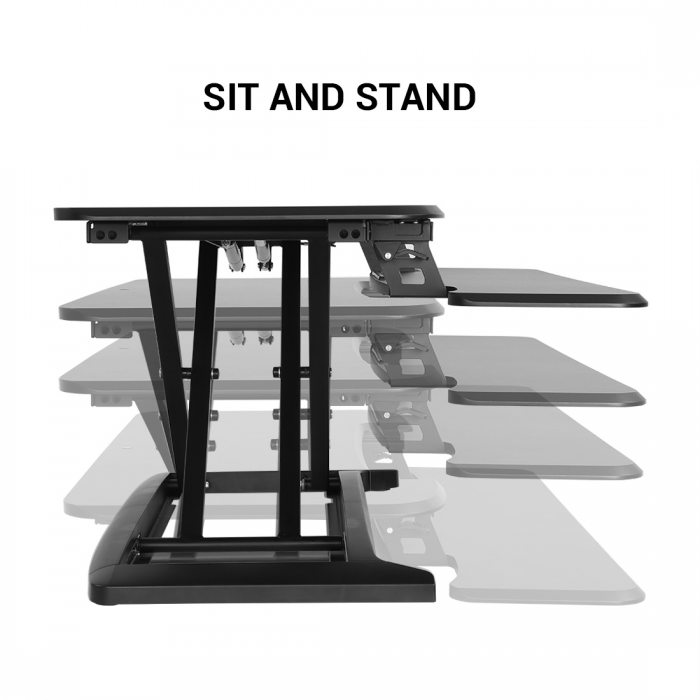 INTEGRATED AIR TECHNOLOGY: Smart “X” structure and gas spring hovering system provide smooth and even support so transitioning from sitting to standing is safer and more reliable than other brands. 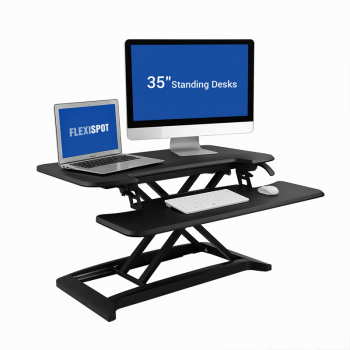 MAXIMUM STABILITY: Designed to support a maximum load of up to 33 lbs. 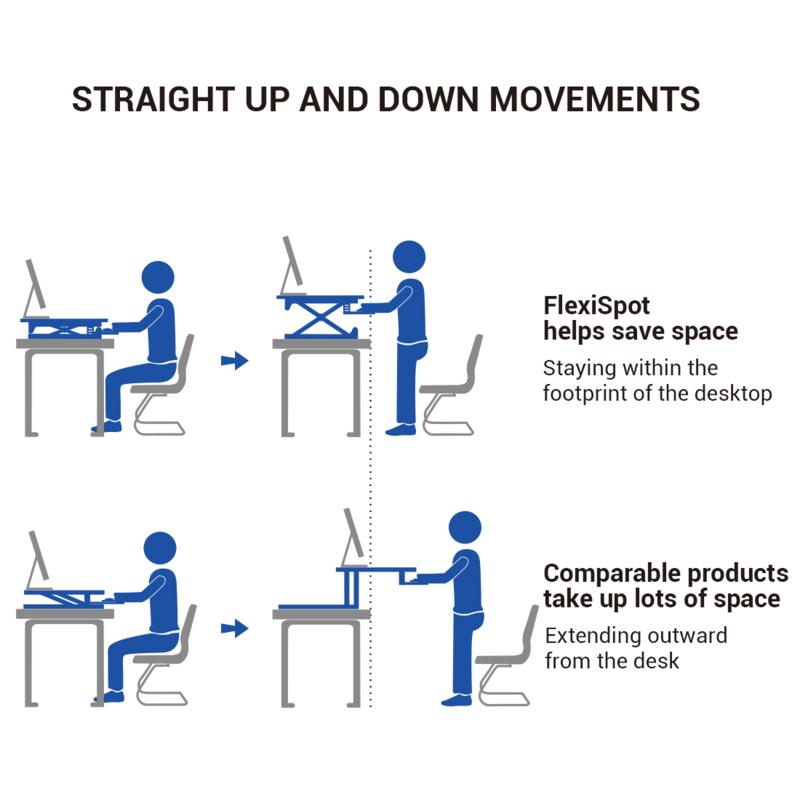 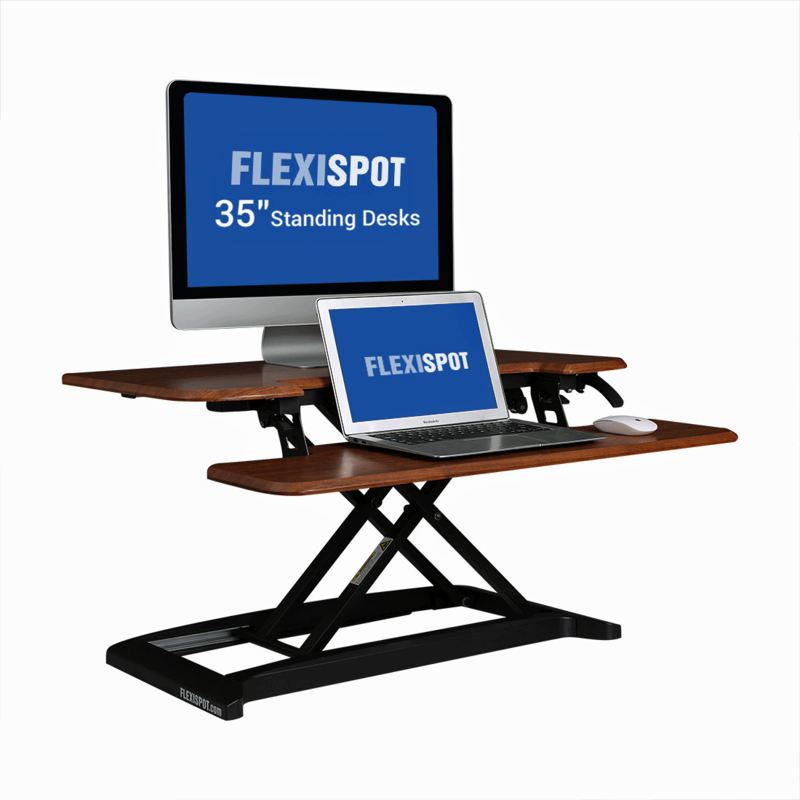 Transform your traditional desk into an active sit-stand workstation with FlexiSpot’s desk riser. 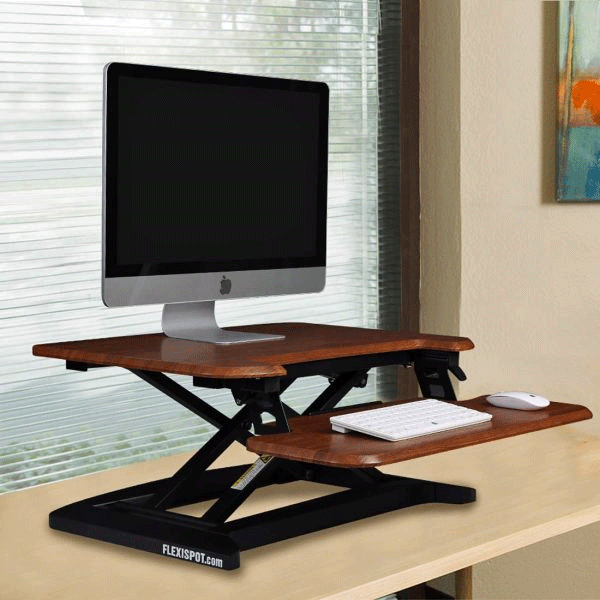 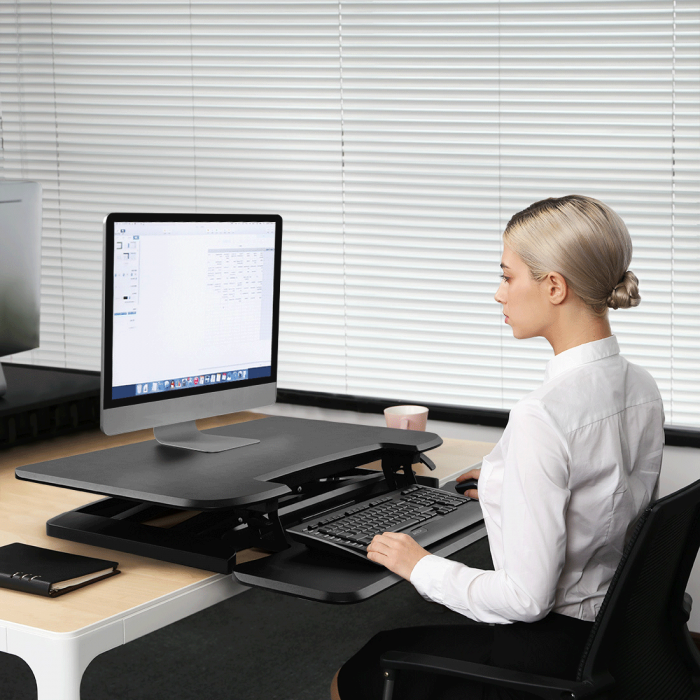 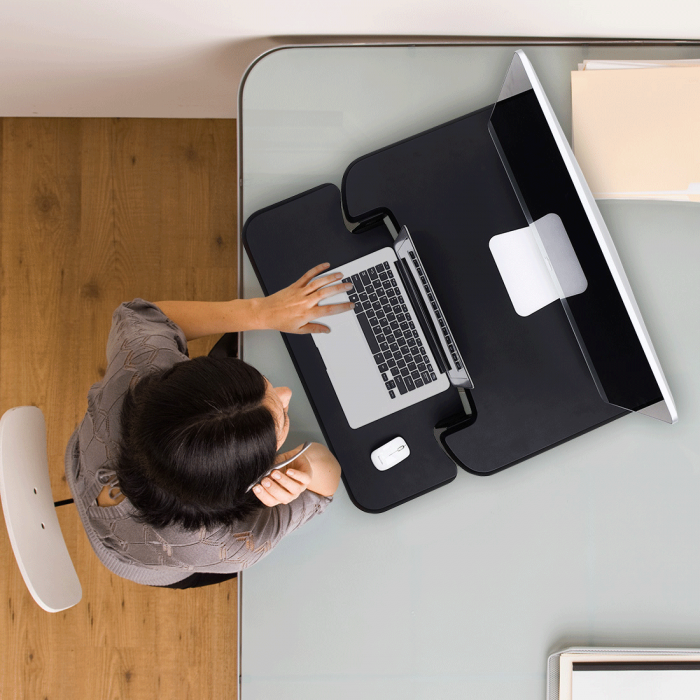 This unique standing desk converter sets itself apart from other desk risers with a one-of-a-kind, u-shaped design that expands the keyboard workspace so you have more room to get things done. 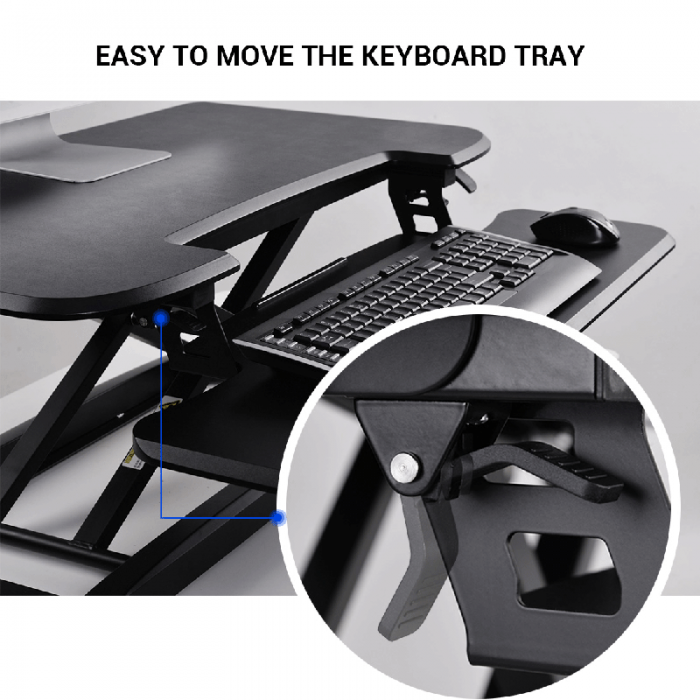 It’s great for writing, drawing, comfortable laptop use, or for adding a full-sized keyboard and mouse. 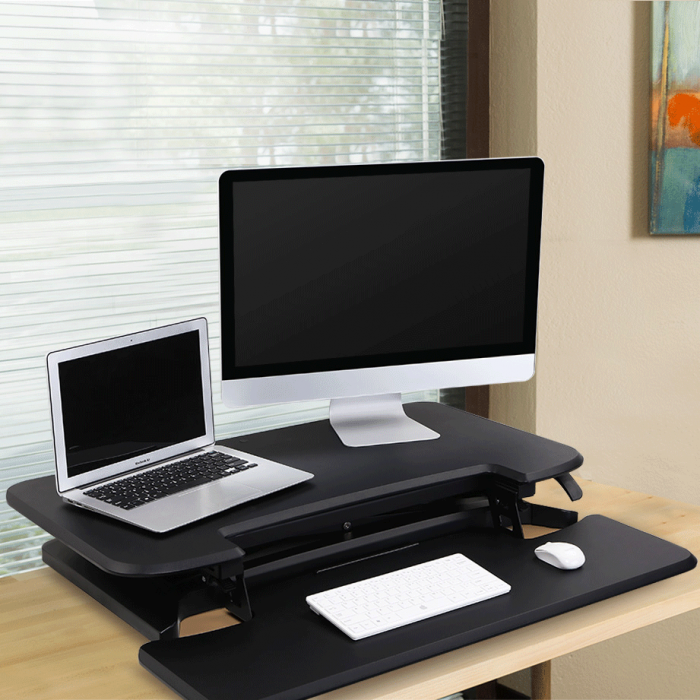 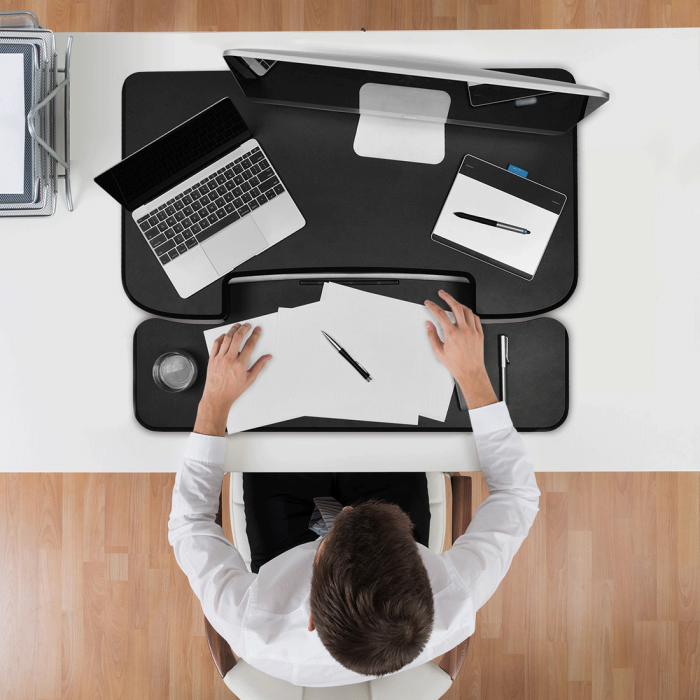 The spacious desktop also offers plenty of surface area for using multiple computer monitors and desk accessories. 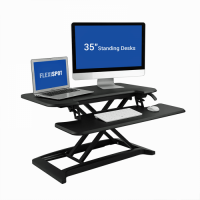 Best of all, it’s sturdy enough to safely hold up to 33 lbs. Whether you’re 5’0″ or 6’2″, you can comfortably adjust the M7MB desk riser to the height that’s right for you.